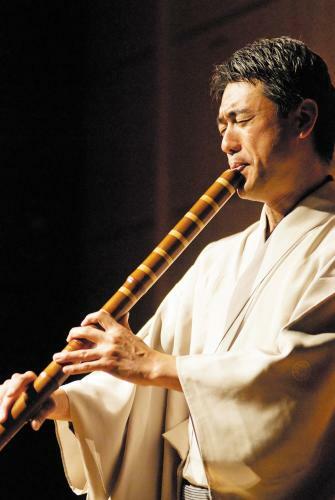 Japanese master Kaoru Kakizakai will perform a selection of traditional and contemporary works for shakuhachi (traditional Japanese bamboo flute). An internationally acclaimed performer in the tradition of honkyoku (solo shakuhachi pieces that are historically rooted in Zen Buddhism), Kakizakai also regularly performs as a soloist for November Steps (1967), the quintessential work of critically acclaimed Japanese composer Toru Takemitsu (1930-1996). The programme will feature several honkyoku pieces that showcase the instrument performing its most intimate solo repertoire, as well as several pieces for small ensemble. Accompanying Kakizakai will be Lindsay Dugan (shakuhachi), who spent ten years in Japan learning from Kakizakai, and Brandon Lee (koto – traditional Japanese 13-string zither), who studied as a live-in student with koto virtuoso Kazue Sawai. The concert also features a composition by Australian composer Lachlan Skipworth, Light Rain (2009) for shakuhachi and string quartet (Hannah Spracklan-Holl, Arun Patterson, Dovi Hanner, and Ellie Walker).